The global oilfield chemicals market size was valued at USD 19.93 billion in 2016. 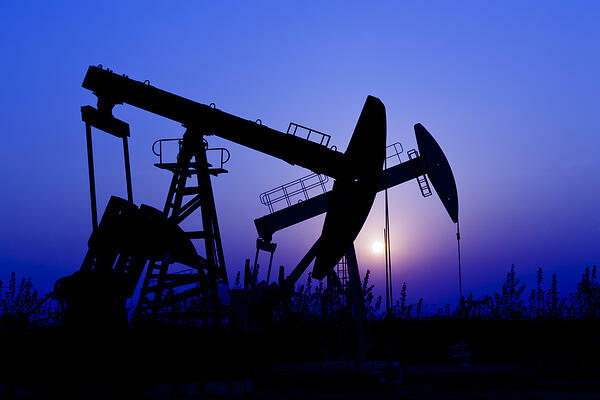 Growing product demand in various petroleum operations such as drilling, well stimulation, production, cementing, enhanced oil recovery, and hydraulic fracturing is expected to drive the market globally. The rising crude oil production, shift towards unconventional drilling operations and increasing complexity in operations is expected to drive the oilfield chemicals demand over the forecast period. The workover & completion is one of the leading application sectors for the specialty oilfield chemicals. The requirement for maximizing the productivity of the already existing reservoirs by creating favorable flow paths through hydraulic fracturing and matrix stimulation. The point at which the completion course initiates depends on the design and type of the well. However, there are many actions performed or alternatives used during the various stages of a well that has a significant impact on the productivity of the well. The completion quality can have a very significant effect on the production from the reservoir This also helps to save time and expenses considerably. The U.S. oilfield chemicals market value is expected to reach a net worth exceeding USD 7.10 billion by 2025. The shale gas revolution has introduced a renewed robustness in oil exploration and production and has led to increasing demand for oilfield chemicals in this region. Hydroxyethyl cellulose, carboxymethyl cellulose, polyanionic cellulose are some of the raw materials utilized for manufacturing these chemicals synthetic. Moreover, some of the raw materials for natural products are of biological origin such as plants, fruits and so on. Also, hydroxypropyl cellulose and carboxymethyl hydroxyethyl cellulose, are also used in lesser quantities. There has been a shift in the consumer demand for environment-friendly and natural products in the last few years. In order to cater to the evolving energy demand, technologies and to meet the regulatory frameworks, some of the oilfield chemical manufacturers have come up with new and upgraded products and services. A major challenge in the industry is the costly disposable procedures for these toxic compounds. Disposal costs identified by API ranged from USD 49 to USD 3,333 per 55-gal drum, with an average cost of USD 544 per drum. Additional costs were identified for various disposal options including radiological analysis, composition analysis, transportation, the pretreatment capacity reduction, non-NORM waste disposal, administrative costs, and authorizing & manifesting costs. The rheology modifiers emerged as the leading product segment and accounted for over 20% of the total revenue in 2016. Its major applications include the product being used as a synthetic mud that provides high viscosity while drilling at high angles and for horizontal wells. These agents minimalize the splashing during brushing and improve the sag resilience of the coatings. Biocides emerged as the fastest product segment and are expected to grow at a CAGR of 5.4% over the forecast period. The segment is expected to grow over the forecast period owing to its increasing utilization in offshore operations. They are used to protect the water muds which contain naturally occurring gum. Their microbial attack inhibition capabilities are expected to drive the demand in offshore as well as onshore operations. Due to regulatory norms, the manufacturers are opting for environmentally-friendly chemicals in oilfield applications. This will result in ease of disposal of such products. The hazards of using synthetic materials in operations can also be reduced significantly. These organic products exercise a higher power over its counterpart in terms of regulations and acts as a potential replacement. Workover and completion emerged as the largest and fastest growing application and accounted for over 35% of the total revenue in 2016. It includes maximizing the productivity of the reservoir by creating favorable flow paths through hydraulic fracturing and matrix stimulation. This includes cementing, gravel packing & casing, perforating and installation of a production tree. The global oilfield chemicals market valuation in workover & completion operations is anticipated to grow at a CAGR of 4.8% from 2017 to 2025, owing to its capability to maximize the recovery of oil & gas cost-effectively and assists in minimizing its influence on the environment. These products are also applicable in multitude of operations such as well completions, intervention services, fracking, EOR, and well drilling. The production chemicals segment has shown tremendous growth potential in the Middle East and Africa and is expected to reach a total value worth over USD 2.20 billion by 2025 in the region. The growth in this region is attributed to the use of these formulations in the in the already existing reservoirs to maximize its productivity even after the peak oil period of the well is achieved. The global petroleum industry has been witnessing a remarkable shift towards high-performance drilling muds and slick water fracturing fluids. Environmental concerns and the development of eco-friendly compositions that can address these concerns will also have an increasingly negative effect on the sector over the next eight years, thereby encouraging additional demand for eco-friendly formulations. The global oilfield chemicals demand in the onshore location is the largest and was valued over USD 3.0 billion in 2016. Almost all varieties of chemicals are used in this location since conventional forms of operations take place here. Thereby ensuring a continuous demand for the products in this location. The offshore locations are estimated to register the fastest growth and is expected to grow at a CAGR of over 5% over the forecast period. The operating conditions in this location are very harsh and extreme. Thus, it requires a very specific set of chemicals like biocides and corrosion inhibitors for ensuring that the operations are carried out with ease and a low cost. North America dominated the global oilfield chemicals industry accounting for over 30% of the total market value in 2016. The industry in the region is a well-established and mature sector owing to its increasing applications in the workover & completion and production sector, and also its demand depends upon the number of active wells in various basins. Most of the investments are focused on penetrating into evolving markets such as Central and South America, Eastern Europe and Southeast Asia. The major multinational companies intend to augment their footprints in the highly profitable regions and exploit factors such as low labor and land costs and lenient environmental norms. Asia Pacific is projected to emerge as the fastest growing regional sector over the next eight years. The oilfield chemicals market value in the region is estimated to reach approximately USD 5 billion by 2025. The growth of the market is specifically attributed to the increasing number of exploration activities in this region especially in the South China Sea, mainland China, India and Southeast Asian countries. The companies adopt integration across the value chain by supplying raw materials, manufacturing and distributing the end products which enables these companies to reduce their costs of procuring raw materials from small-scale firms. Integration across the value chain enables the companies to achieve higher profit margin & economies of scale to ensure the sustainability of the products in the industry. The industry players compete by factors such as price, quality, technology, brand image, and distribution network. Most of the industry participants have a global presence. The international players have tie-ups with the local firms to grab hold of the local market. The presence of a large number of players in the market has resulted in tough competition and fragmentation.